Have you ever found yourself wondering whether the brand new bottle of your favourite perfume is actually the real thing or a fraud? Have you ever been obsessing with minute details trying to make up your mind about whether reformulation has struck your holy grail? I have been trying to decide whether the 1999 Balmain Vent Vert in the lovely silver capped bottle is an acceptable solution or an impostor to the 1991 version. How can two bottles of perfume smell 95% identical and 1000% different? If you are interested in either Vent Vert or the turmoils of reformulation, please click here for my full review. Scientifically minded but obsessed with the subjective aspect of things. 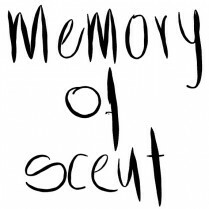 Photos copyright of MemoryOfScent, with special thanks to Pantelis Makkas http://pantelismakkas.blogspot.com/. You are welcome to link to my blog but you are definitely not allowed to copy text or use the photos without my permission. All text and main photos are originals and property of MemoryOfScent All perfumes are from my collection unless stated otherwise. I never wonder: I know that a new bottle means reformulation. And it’s never to the better. Sometimes the bottle doesn’t change much though, just minute details on the way information is printed. That’s why the case of Vent Vert is very clear. But on the other hand it is impressive how similar the two reformulations are, except that huge difference in the steel wool base note.